After last year’s 20th Anniversary weekender Cabbage returns to the Trades Club with our old friend and Psychedelic trance Superstar – Laughing Buddha! Supported by Cabbage’s co-founder / resident DJ – Purusha and long-time resident DJ – Si Splatt. ‘Laughing Buddha’ (a.k.a. Jez) has a career spanning 20 years, which has seen him as half of Cosmosis on the debut album ‘Cosmology’, through to his collaboration album ‘Illusions and Collusions’ which featured collaborations with the likes of Eat Static, Tristan, Avalon, Dickster, Space Tribe, Electric Universe and more. 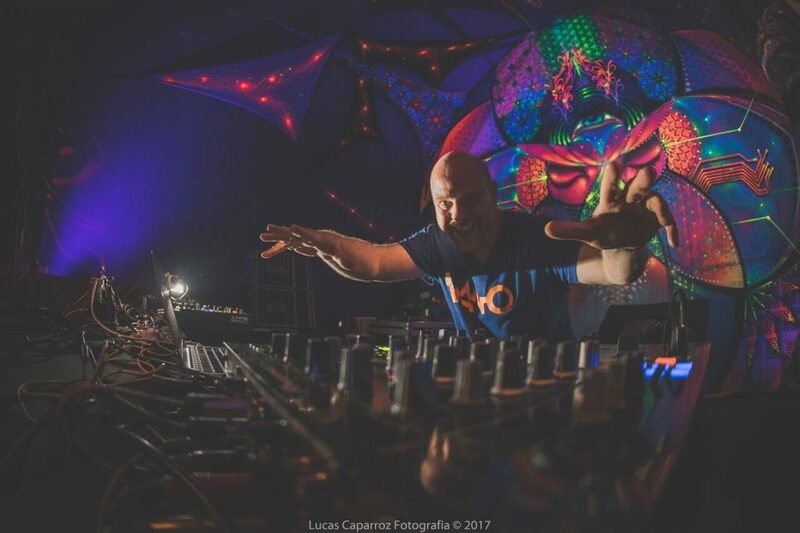 Jez regularly tours and performs at festivals around the world such as Ozora, Boom, Sunburn, Atmosphere, Utopia, Glade, Maitreya, Psychedelic Circus, Indian Spirit, Indigo, Universo Paralello and Origin. Cabbage is thrilled to bring Laughing Buddha to the Trades Club for the first time!